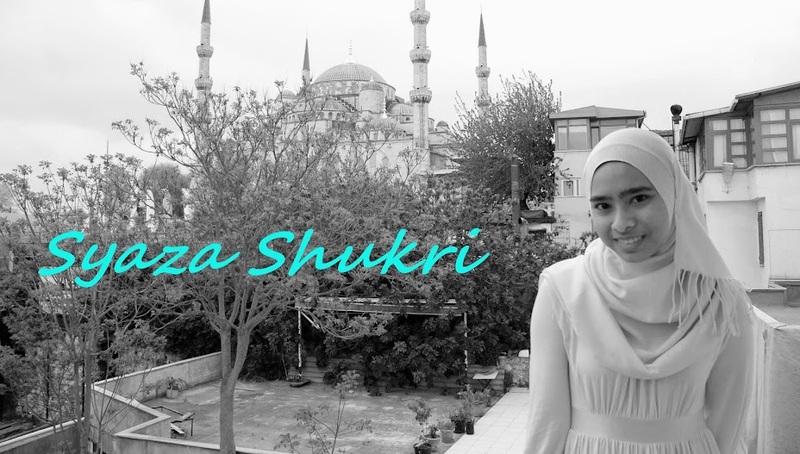 Syaza Shukri: Of Why I Go Home Every Week. Some people say I am manja. Some still questioned my decision to further my studies abroad. People say I cannot stand being away from my family because they see me going home every week. They say I still live ‘under my parents’ armpits.’ People say a whole bunch of things about me because they don’t know what I’ve been through and seen in my life. Basically yes, I’ve been living with my parents for the past nineteen years of my life. Yes, I’ve never been to a boarding school and it was one-hundred-percent my decision. Yes, INTI is my first experience of being ‘away’ form my parents (which is not really ‘away’ since it’s still 40 minutes from KL) And if it’s up to me, I really want my parents to move to Nilai a.s.a.p. so that I can go back every day. Do you want to know why I’m so obsessed with my parents? I’ll tell you why. This is the story of my best friend, Shila, or previously known as Asilah. Asilah and I have been friends since we were thirteen. We’ve been close friends since we were fourteen. Music brought us together and also a whole lot of other things (i.e. fashion and world issues.) But then, an unfortunate event occurred when we were fifteen that made me very overprotective of her until today. PMR examinations were to fall on a Monday and on the Thursday (or Friday night for us Muslims) before it I got a phone call from our other best friend, Adilah, around 3am. I can hear Shila sobbing in the background as Adilah simply said, “Mak Asilah meninggal dunia (Asilah’s mother passed away. )” Even till today I still haven’t been able to forgive myself for not going straight to her house that night. I was young then and also speechless. I just saw her mother a few days earlier and she was looking good. Now fast forward two years later. Our last SPM paper, Biology, was on Monday and on the Thursday (or Friday night for us Muslims) afterward I got a phone call again from Adilah around 1am. This time there’s no sound of Asilah sobbing but unfortunately it was the same news I was praying NOT to get. Adilah simply said, “Ayah Asilah meninggal dunia (Asilah’s father passed away. )” And to think that her father was supposed to pick me up in a few hours for we were supposed to go to Port Dickson in the morning. This time I was older and I knew better. I quickly changed and went to Asilah’s house. The point I’m trying to make is, just like her parents, God can simply take mine away from me. Until today Asilah is very grateful that she declined offers after offers for her to study in a boarding school. After her mother’s death she became very close to her dad (like me, Asilah only has one older brother which is ten years older than her.) And she’s very grateful that she was able to spend as much time as she possibly can with her father. Somehow, I can’t help but to always put myself in her shoes. I can’t bear even the thought of my parents being taken away from me. But this is life; I know I can't run from the inevitable. But as far as I’m concerned, whatever time we still have, I’m not going to waste it away ‘melangut’ in INTI when I can go home and kiss my parents’ hands instead. Of course some would say nobody would want to go to a boarding school then. Actually I have various other reasons why I chose not to (and I think I’ve stated that one too many times already). I have nothing against those who went to boarding schools or stay in INTI during the weekends. And I understand if your hometown is hours away. But as for me, personally, time with my parents is a gift from God. Why do you want to waste such precious gift from the Almighty? I know I won’t. For the past nineteen years of my life, the gift of always ‘being under my parents’ armpits’ is the best gift ever I could wish for.